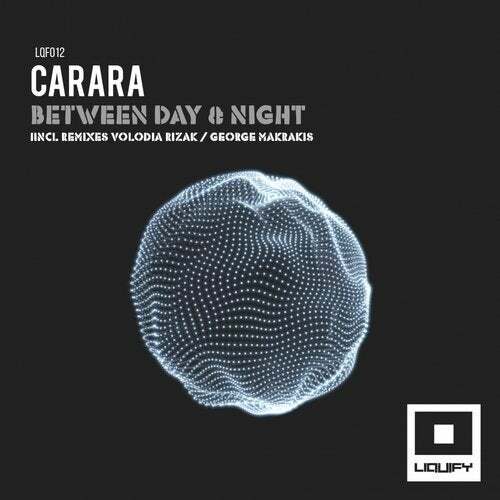 Carara makes his debut on Liquify with two outstanding techno tracks. His unique style makes him one of the most recognizable artists at the moment. Between Day & Night 001 is a raw techno track with percussion keeping the track on the edge and the back pad rising from the start till the end. Between Day & Night 003 goes deeper with darker sounds. Volodia Rizak Remix twists the rhythm elements of the original track and delivers a mixture of deep synths and trippy percussions. To complete this EP George Makrakis adds more melodic elements to his remix with analogue modular synths and strong percussive parts.